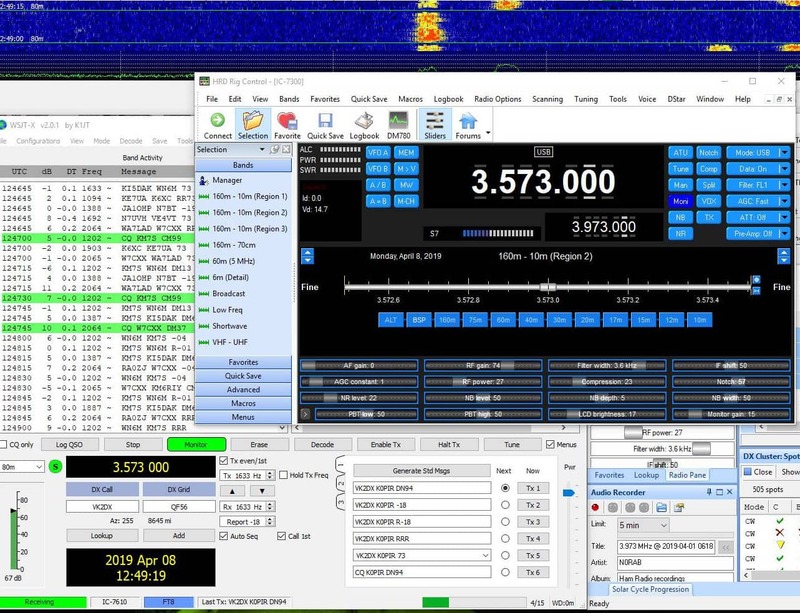 The last part of this series with Ham Radio Deluxe is adding WSJT-X FT8 to it. In this setup I’m using the CI-V cable for rig (Icom 7300) control in WSJT-X as opposed to using Ham Radio Deluxe as the rig in WSJT-X. There are advantages doing it this way. See the video below. WSJT-X is a popular program for JT65, JT9 and the most popular mode is FT8. 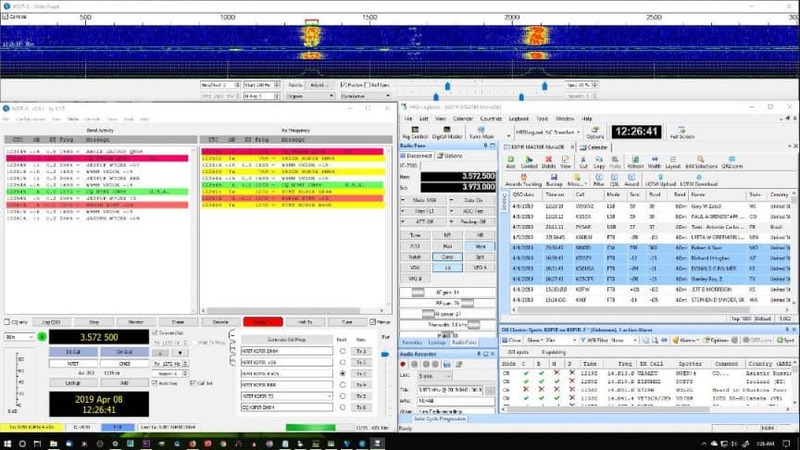 In the video below you’ll see WSJT-X FT8. 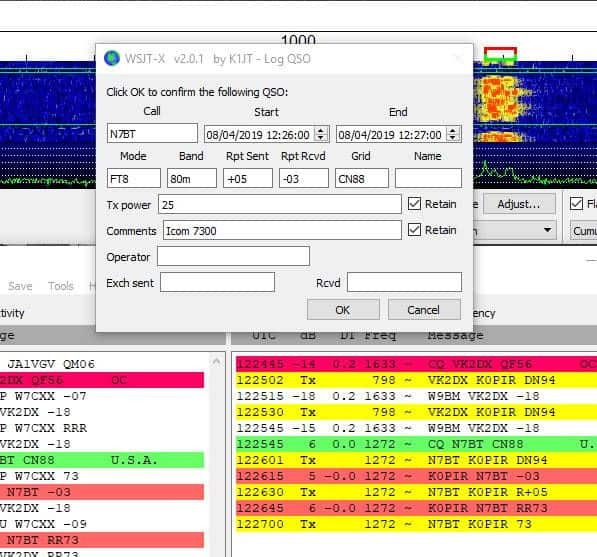 WSJT-X is also a very easy program to setup and operate, especially if you are using a radio like the Icom 7300 or Icom 7610 that has built-in sound capabilities. 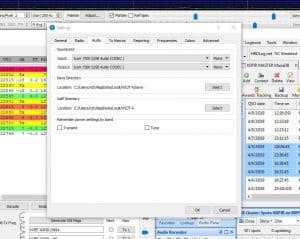 I have videos and articles on WSJT-X and there are 3 or 4 good ways to integrate it with Ham Radio Deluxe. Getting the most out of your radio? Please join our growing Icom 7300/7610 community. Receive e-mail notifications of new articles. I will never give away, trade or sell your email address. You can unsubscribe at any time. In this configuration I’m using QSO forwarding in HRD Logbook. It works very well. See my article Using the Icom 7300 with NEW Ham Radio Deluxe and WSJT-X. Using two cables (it works well with other logging programs as well). The USB cable for HRD rig control and the CI-V cable for WSJT-X rig control. One USB cable. Get HRD up and running with the USB cable and using it for rig control in HRD. 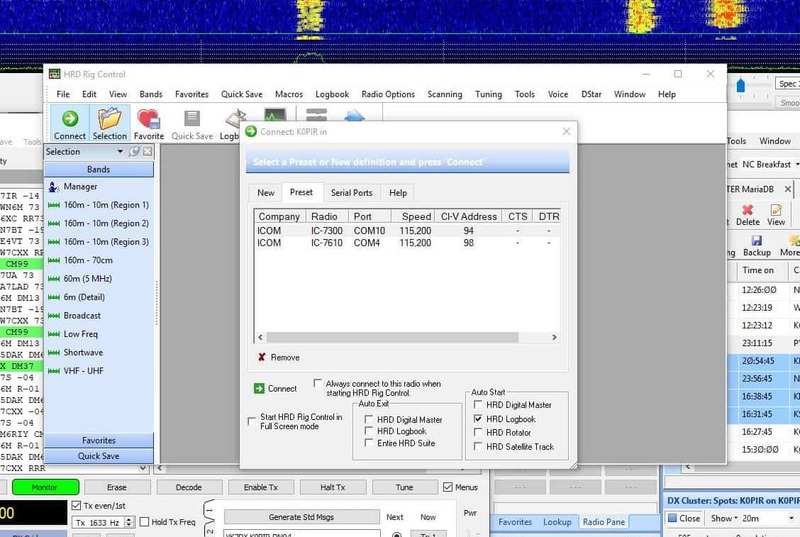 WSJT-X uses Ham Radio Deluxe as the Rig in it’s settings. One USB cable (preferred by many). Same as #2, but close HRD rig control leaving HRD Logbook open. The USB cable is used for Rig control in WSJT-X. One USB cable. 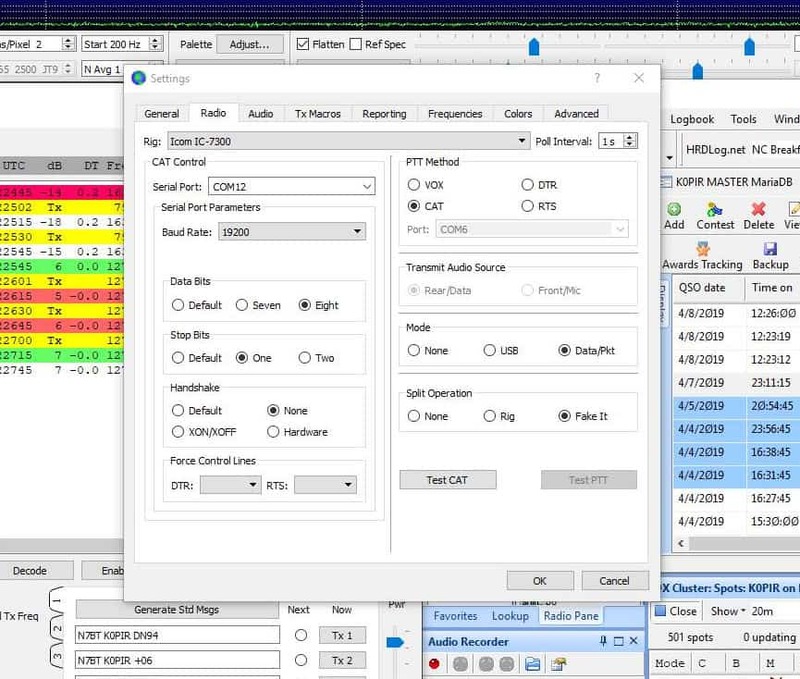 Use a virtual serial port emulator (splitter) to split the COM port so HRD Rig Control and WSJT-X can control the radio. We will be completeing #1 in the video below. 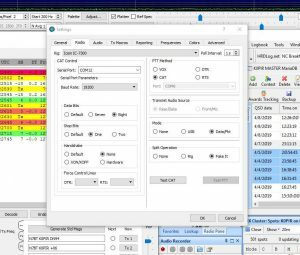 Probably the easiest way to use WSJT-X FT8 is to use it as a stand alone program. It has it’s own internal logging. 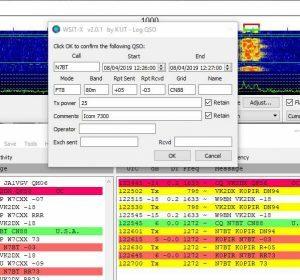 I have an article here: WSJT-X FT8 and the Icom 7300 the Easy Way! If you are using either of the latest Icom radios you’ll need to use “Unlink from [REMOTE]. See my Icom 7300 screen captures and Icom 7610 screen captures. 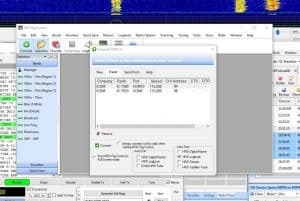 Many Hams use JT-Alert and it can be added to this easily. Just download and install JT-Alert. When I use JT-Alert I set it up to log into HRD Logbook, therefore disabling QSO Forwarding in HRD Logbook. If you have any questions, please ask them here. I prefer the comment section here or in YouTube over e-mail because your comments and questions will help others as well. Thank you for subscribing to this website. I appreciate the comments, questions and suggestions. You can follow me on Twitter, Facebook, Instagram and YouTube if you have those. Have you figured out how to log Calls into both HRD and N3FJP logging programs at the same time? I really enjoy features of both programs but its such a pain exporting from one to the other. Nice to hear from you and thank you for commenting here. That’s a good question. I have not. Typically I use a logging program for a while, learn more about it, create videos and then move on to another. I just export and import to keep up to date. I would like to have a database that each logging program could sync with, but I am not there yet. Thanks again, have a great day and best 73! Are you thinking about doing the same thing for the new Icom IC-9700? It really needs the same treatment as it is a fine radio and a lot features that need expounded upon. Thanks for taking the time to cover the IC-7300 as well as you do, keep up the great work. Nice to hear from you again and thanks for commenting here. The 9700 is on my radar! I was thinking of saving some money and getting a Yaesu FT-847 for satellite ops, but I just don’t want to go backwards at this point. Even though they are fine transceivers. I’ll have to see how it goes. It’s going to be a busy summer for me. I have room on my roof for a satellite antenna system, but I don’t think I have time to get it all working. It’s in the plan though. Thanks again Wes, best to you and yours, 73! I show the advantages and how it works in the video. Please tell me more. 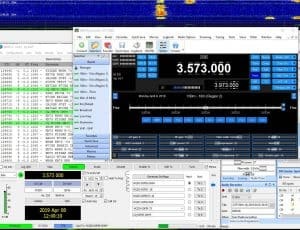 What are you using for Rig in WSJT-X? 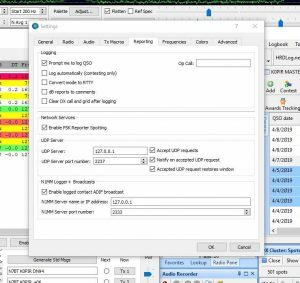 Are you using something like virtual serial port emulator (VSPE)? Five logging programs. 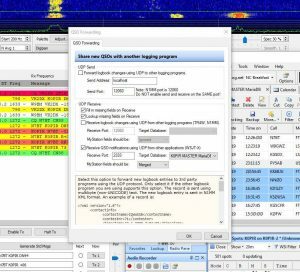 Are they HRD, HRDLog.net, eQSL, QRZ and Clublog? As I stated in my comment, I’m using a 7300 and yes, those are the five log systems I use. 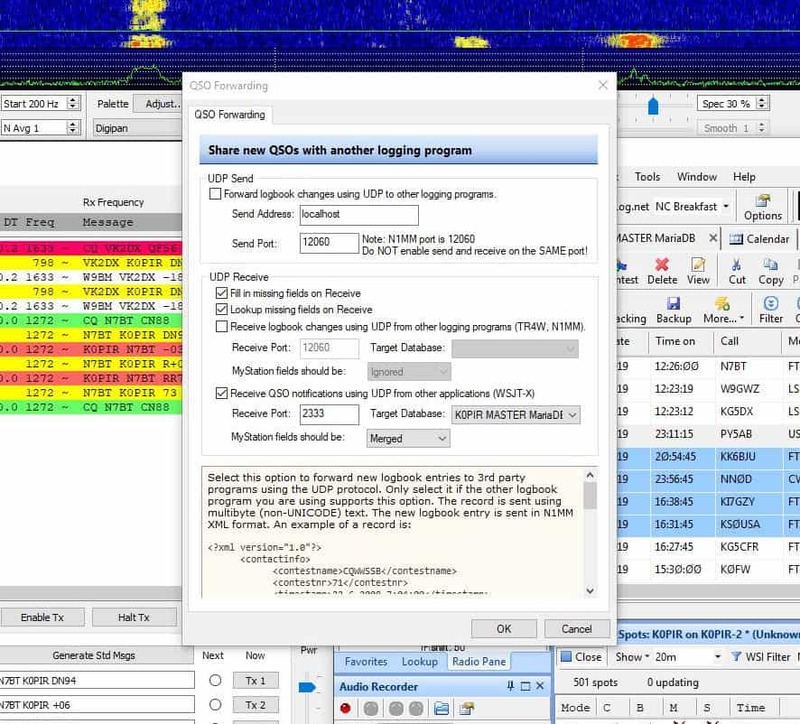 Of course, in addition to those, three clicks at the end of the day’s session, sends all contacts made from QRZ to LoTW as well. And no, I don’t use a serial port emulator. I see no advantage that two ports have over a one port solution. I just watched your video and learned something new. 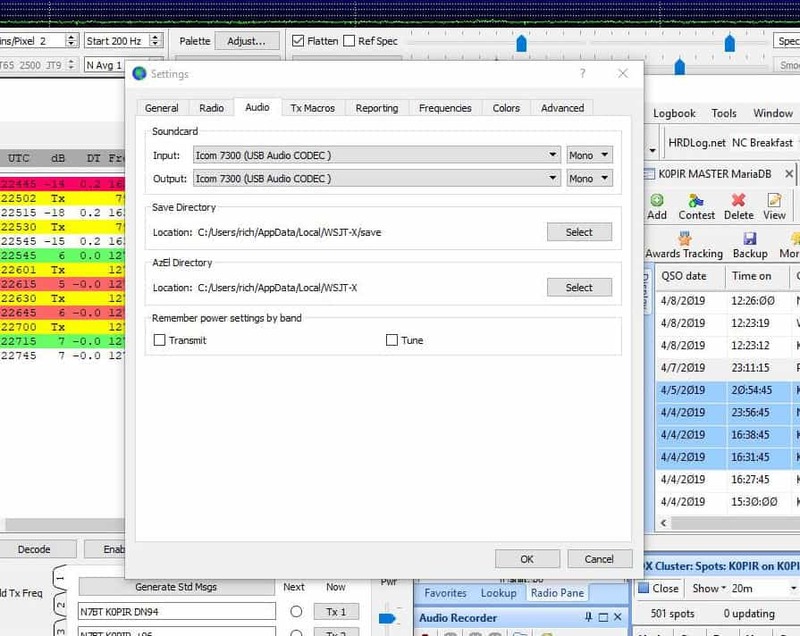 I very seldom change modes on my radio when I’m in an FT8 session, but being able to click on a spot like you do, and having the mode set automatically, looks like a good feature. Since my focus for this year is on CW instead of FT8 like last year, I can now see where using the C-IV port has a definite advantage. Thanks for your video, and sorry for the confusion. Thanks Lon. I sincerely appreciate your information and commenting here. It helps others as well. I see. Yes I forgot about LOTW! HRD Logbook does a good job uploading to all of those automatically for me. LOTW is the one I do by myself. I only use 1 USB cable between my 7300 and PC. 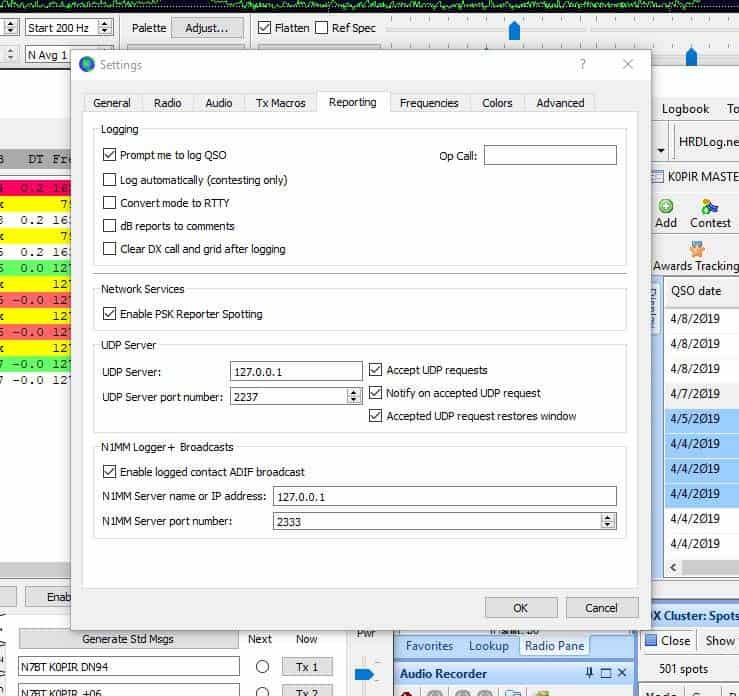 I use WSJT-X, JTAlert, HRD and my setup automatically logs to five different logging programs. This frees up the CI-V port for other uses (ie. Amplifier band control, etc.). I traded your whole article to find what you stated, “…there are advantages to using both USB & CI-V ports,” but failed to see where that was an advantage. Where did I miss this?